This futuristic concept could possibly SOLVE the Dubai-Sharjah congestion! We've all been through it; that dreadful morning commute to Dubai on any of the highways connecting it with Sharjah, or the evening commutes back to Sharjah from Dubai. Never mind that it was estimated that the cost of this congestion is around AED 12billion; such traffic also takes a toll on the health and psychology of daily commuters who sometimes find themselves stuck in the same traffic every single day for hours hoping intensely that there isn't anything such as a traffic accident that will make that commuter any second longer than it already is. So when you are living in a country that is driving more innovation initiatives, what possible solutions are out there to this dark daily reality called traffic? Some say that the best approach is to extend the Dubai Metro line to connect it with Sharjah. Investment in infrastructure and public transport is always a good idea, but the thing is, it may be more difficult than one thinks in terms of implementation. This is mainly due to right of ways, and the lack of physical space available in the areas in Sharjah which you will certainly need to have this proposed metro line reach to to make a real impact to the situation in hand. The other solution which I certainly think is worth investigating is that which you will see in the below Youtube video. The concept: a futuristic straddling bus that travels above existing traffic. This ingenious proposal doesn't only cost less than subway systems (by up to 60%), but it can carry up to 1,400 passengers at a time thus reducing the equivalent of around 30 traditional buses that usually carry up to 50 passengers each without the need to expand on any of the existing roads. As the bus runs on electricity, an added advantage will be an environmental one. What do you think of this idea? Do you like it? Would you use such a transport system and ditch your car? If so, maybe if we share it enough, it will inspire its implementation. After all, nothing is really impossible once we all put our minds to it. Nothing makes us stronger than learning from our experiences; no matter how painful they can be. When one recounts the evening of ringing in 2016, we recall Dubai's outstanding performance in handling the fire situation to come out of it still strong at the stroke of midnight. Everyone's concern was the safety of the people of course, and rest assured, 14 minor injuries, and 1 moderate case is far from being a matter of luck. It has been announced that the cause of the fire was possibly due to an electric fault. How the fire was spread to engulf almost the entirety of the building is probably best explained by this 2012 article by The National on the use of flammable panelling in the UAE. If this proves to be the case, it is most certain now that most, if not all, high profile hotels and buildings (at least in Dubai) making use of this type of material will be directed to be refitted with panelling material more in compliant with international fire-safety regulations. Crisis communication is one of the specialized focus areas of public relations. Depending on how the communication plan is implemented, public opinion can either sway towards supporting you, or heavily criticizing you. While tackling the fire, the various communication channels have made sure to keep the public up to date with what was going on as it happened. It was as if somehow, though unannounced, putting out the fire became part of our new year's countdown to 2016. 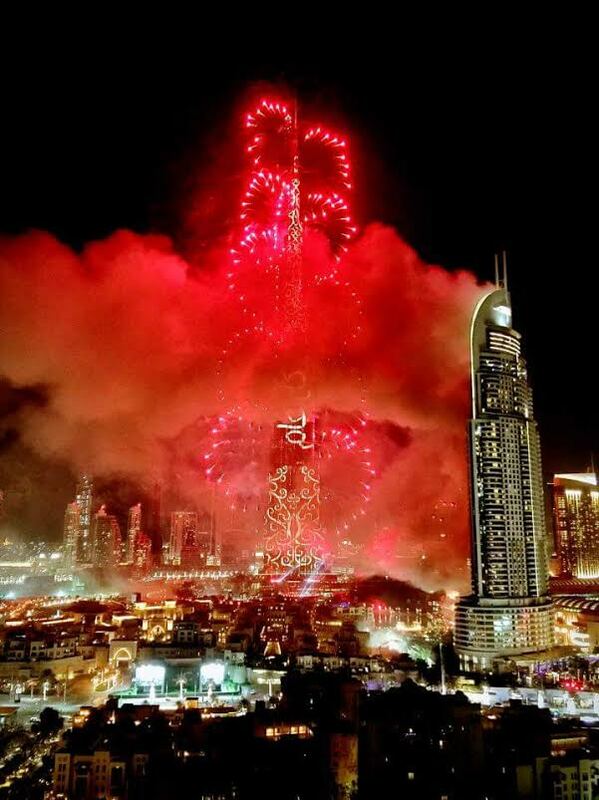 People kept on wondering, will the Burj dazzle us at midnight, and the dazzle us it did (though the show was scaled down) to remind everyone that Dubai is and will always remain strong in front of all the challenges it faced. On January 3, Dubai Police posted the below video on its Youtube channel. After watching it, once again you feel the strength and importance of using social media for the positioning of a brand image, in our case here, Dubai. The short 1min 40 seconds clip is a recount of the main events that happened that evening. Starting from the opening scene of everyone gathered at the NYE's fireworks main control center, leading up to when the fire breaks out, and followed by His Highness Sheikh Mansour bin Mohammed bin Rashed Al Maktoum (the son of the Ruler of Dubai) joining the Civil Defence team heroically fighting off the fire hands on. The closing shot is a message to the public from Dubai Police emphasizing "your safety is our happiness". Just recently, Emaar had announced that a contractor has been appointed to restore our beloved Address Downtown hotel to its architectural all time glory, and more. Certainly, we will once again be amazed with record breaking completion of this restoration...and trust me when I say, it will be well publicized. It is also with most likelihood that fire engineering and safety guidelines and its implementation will be scrutinized, and a possible market for fire preventive technologies can play a big role in the coming year as there is probably no more room (from an emotional perspective) for any more fires to break out, at least for the coming year. Dubai still continues to deal with the issue, even though the fire has been out for days now, as it is taking care of all the guests who have been displaced due to what had happened. One way it can still sway this to its favour, and use it to build on its positive image, is by working towards a 2017 new year's celebration that is concentrated on the Downtown area with a fully restored and functional Address Downtown Hotel being a part of the attention instead of just the Burj. I'm sure that will get many feeling very emotional and proud of Dubai yet again. I am very glad that there weren't any serious injuries from that evening, and I am even more proud of the leadership and the different teams whom continue to teach us that Dubai is truly the city of life. Salute to our leadership, salute to the Civil Defence and Dubai Police, and salute to the people of the UAE. You might have been noticing that the weather in the UAE during the evenings have been somewhat cooling down. The humidity isn't quite there yet, but hopefully it will become a lot more bearable in the next few weeks. One of the greatest movements I have stumbled upon are the different running clubs and events that happen during the cooler months. Whether you are a beginner, an intermediate, or an advanced runner, you are certainly bound to find something that is up your alley. The Nike Running Club is by far one of my favourite groups. They organize a number of free running events during the week that are meant to get you to become addicted to the sport, and ultimately build your confidence and fitness level to take part in the November 13 10k run, which takes place in Downtown Dubai. The free training events for this week include: a long run (5-9k) at Dubai Marina which takes place today (Sunday September 27) at 8pm; a women's only beginner's run (1-3k) taking place tomorrow (Monday September 28) at Box Park, Dubai that also starts at 8pm; and a speed run (around 5k) at Zabeel Park which should be taking place on Tuesday (September 28) also at 8pm. 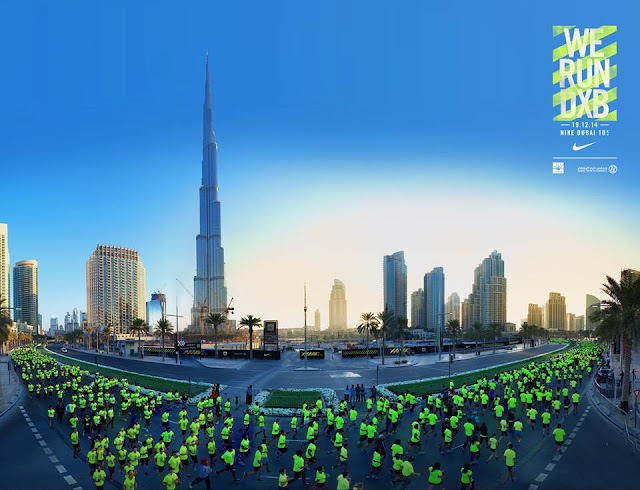 An exciting pop up run event taking place this year in Dubai is the Run in the Dark event taking place just two days prior to the We Run DxB event. The 2 route options you've got is either to run the 4k distance, or the 9k distance. The way I see it, it is a great final warm up opportunity for the run that will take place the following Friday. I believe that the event has already reached full capacity, so if you haven't yet registered it, it may be a little late to do so. 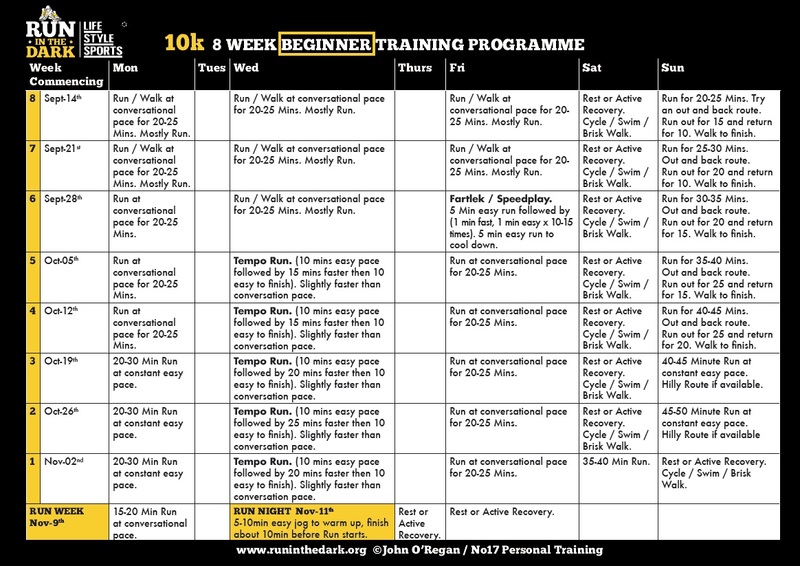 Nevertheless, I think that this is a great opportunity for me to share with you the 10k 8-week training programme that I received from the organizers to help you either prepare for this run, or any other run really. To many, this is the run that really counts! Taking place on January 22, 2016, the Dubai Marathon Run offers three different route options. The 42km course (for the strong and advanced), the 10km course (which is what I have my eyes on as an intermediate runner), and the 4km course (for the beginners). Registration closes December 31st (or probably when capacity is reached) so make sure you confirm nice and early if you are interested to take part. Last year, the run was faced by a number of challenges, mainly being the organization of the running route. Nevertheless, no run is a bad run, and you should always take such events as a great opportunity to maintain an active lifestyle, and challenge oneself to achieve a life goal. Running has a lot of physical and mental challenges that you will need to learn and overcome, so you can successfully complete the distance of your choice. I really recommend that you start training your body well in advance of any run so first, you can learn more about your current limitations, and secondly, build your stamina up to the level you want it to be at. This is what every single runner takes a thrill in when they take part in any run. Obviously you should first aim to complete the run (hopefully, at a non-stop pace), but also aim to accomplish an objective like finishing the running course under a certain amount of time. Only then, will you really feel the excitement and purpose of running. Good luck to all! It's that time of the year where we get together to celebrate a public occasion. 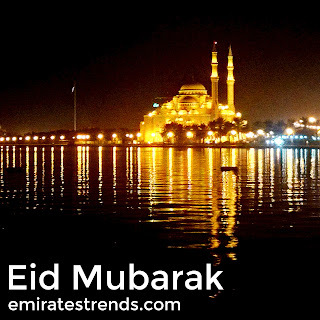 Right now, it's Eid Al Adha...in a few months, it will be Christmas and a few days after that, it will be the new year. Advances in technology have been making it very easy for us to stay connected with another; possibly even to be connected to much more people than before. The norm today is to broadcast a greetings message over WhatsApp, or to post a season's greetings on your Instagram or Facebook. Though all this is good because you are probably being able to reach out to a lot more people, let us be careful about sufficing yourself with it. One of my favorite traditions that I have picked up from my family over the years is calling relatives and close friends to greet them during occasions. When I was younger, we used to visit relatives and neighbors too. Today, with the fast pace and hardship of life, I understand that devoting soo much time (and effort) might be somewhat impractical, especially if all your relatives and close friends don't live close to you as they used to before. But despite this, try your best as much as possible to remain personal; obviously not with everyone on your phonebook, but with those who matter the most to you. During times of celebration such as Eid, people like to flaunt the good moments they spend whether with family or friends. With soo much going around the world nowadays, let us remember that there many out there who aren't having it as easy. Eid Al Adha is about connecting with loved ones, and also about being connected spiritually. Let us remember to keep it that way. I'm not suggesting to stop sharing all together, just be more picky about what you post. I think the value we take away from being connected with those who matter the most to us is that for a small glimpse, we are more engaged in sharing either happiness or empathy with them. Living in the UAE had given us the privilege of not facing some of the hardships of life that others live on a daily basis in other places in the world. But sometimes, a thoughtful phone call to an old close friend, or a visit to a relative you haven't seen in ages would mean the world to them; especially if they are going through their own life battle. 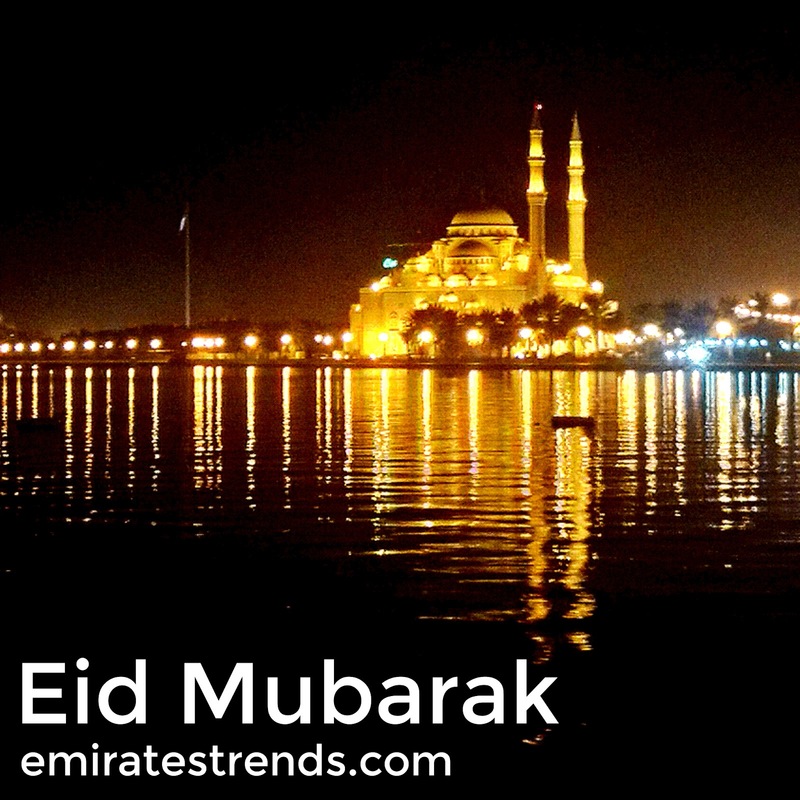 Eid Mubarak to everyone, and may you always spend it in blessings, good health, and joyous moments. It's been quite a sad time for the UAE for over a month now. First, we learn of 45 families (now more than 70) who have lost their loved ones in Yemen. And just a couple of days ago, yet another tragedy strikes, and we learn of the sudden loss of His Highness Sheikh Rashed bin Mohammed Al Maktoum, the son of His Highness the Ruler of Dubai, due to a heart attack. He was 34. I've been contemplating for a while now on the topic of sudden deaths as I myself lost my father this past Ramadan. Without any warnings and without any illness, we quickly lost him as we were getting ready to have Iftar. He was 61. I bumped into an old friend today who also shared with me his story about loosing his father this last December. Though he seemed to be holding it together, I can tell that he also seems to be still in shock about what happened as he was sharing his story. He told me that his father suddenly fell ill, was taken to the ICU, and a few days later, he was gone. He was 80. It seems to me that the only certainty about life is death. No matter who you are, how old you are, how healthy you are, when it's time, it's time and there is nothing much you can do about that. What you actually can have some control over is how you live the very short time that we have in this life. I find myself sometimes worrying about the most meaningless things. What I have come to appreciate over the past few months, that what truly matters in your life, comes down to two things only: putting a smile on the face of your loved ones, and taking a shot at everything you ever wanted to do. As there is only one way out of this life, why live it in either fear or regret, or even worse, both? A lot of times, I think people miss living in the now. 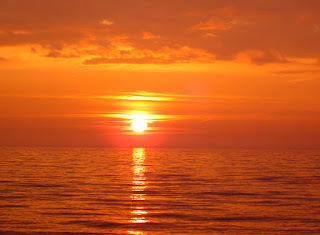 Sometimes I feel some people are still stuck in the chains of the past, or live in the fear of the shadows of tomorrow. Albert Einstein once said that the only constant in life is change. Embrace it, don't fear it, nor fight it, as in change we find growth, progress, and ultimately happiness. And like in many things we encounter in life, death is also a change. A difficult one for sure. But ask yourself, do you want this change to define you? To limit who you will always be for the rest of your life? Or would you prefer to grow from it? To become someone who is soo much more than who you are now? Not a day goes by without me thinking of everyone I lost in my life, especially my father. But my father always inspired me to be happy. To always pursue whatever i want, as long as I don't loose sight of my values. So in happiness and progress, I have found my father, very much alive, and still being there as my driving force towards finding happiness. Change is difficult, but it is inevitable. So how about we live an awesome life, and move on from the silly little things that don't really mean anything to us? What I really hope from this post is to inspire you to realize that your life is in your control, despite how it doesn't seem so sometimes. I also hope I inspire you to do more of what inspires you, and be more with people who matter to you the most, before there's nothing much you can do about it anymore. Here's, hopefully, to a life with a happy ending! 1. You don't have to have more; you just have to have enough! Many people believe that having more money is the solution to all their problems. That perception isn't entirely accurate. Though more money means that you can afford more; affording more doesn't necessarily mean that you will be happy. 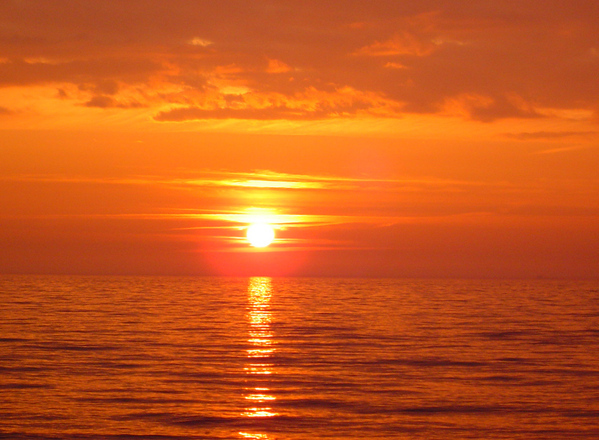 We live in an age where we are heavily influenced with what society benchmarks as happiness. Almost everywhere you look, whether it be on-line or on print or broadcast media, happiness is portrayed in the form of a luxury commodity. You are happier if you own a lavish home. You are happier if you drive a luxury car. You are happier if you wear expensive clothing. What you need to realize is that happiness is relative and unique to each one of us. What makes you happy, doesn't necessary make someone else happy. Since happiness is relative, the cost of happiness is therefore relative and that is specifically why you don't necessary need to have more than what you currently have right now to be happy! Figure out the important things in your life...put a plan to making them happen...and stick to the plan! 2. You don't need to have the money now; you just need to have a good payment plan! When looking at the big stuff like buying your own house or starting your own business, many people look at the price tag and compare it to how much money they have in their savings and determine from this comparison whether they can afford paying for it, or not. If you need more money right now to accomplish a goal that brings you happiness, try to speak to a number of banks to see what loan facilities they can offer you. Keep in mind that not every bank offers the same facility, therefore, a good repayment plan will need have the smallest interest you can possibly find in the market, and that can be paid back over the shortest period of time that you can afford. 3. Don't stack up loans; just follow your dream one step at a time! When income is limited, it is best that you take baby steps towards achieving your dreams. Though taking out a loan can be a fix to a money shortage situation, you will always want to be in a situation where you can pay it back as per the payment plan you have with the bank while still keeping a little bit on the side for you to save. Try not to get over ambitious, take things easy and put a realistic timeline on when you will be achieving each one of your dreams. Bonus secret: Don't think of the opportunity cost! Money in concept is a limited resource. This means that no matter how much you have in your bank account, a purchasing decision will most certainly come at the expense of having something else. When you come in terms with this, you will be more confident (and more at ease) to making the bigger decisions. Value and cherish every step you take towards your happiness, and if the opportunity cost really matters that much as well, put a plan on how you will get it next! 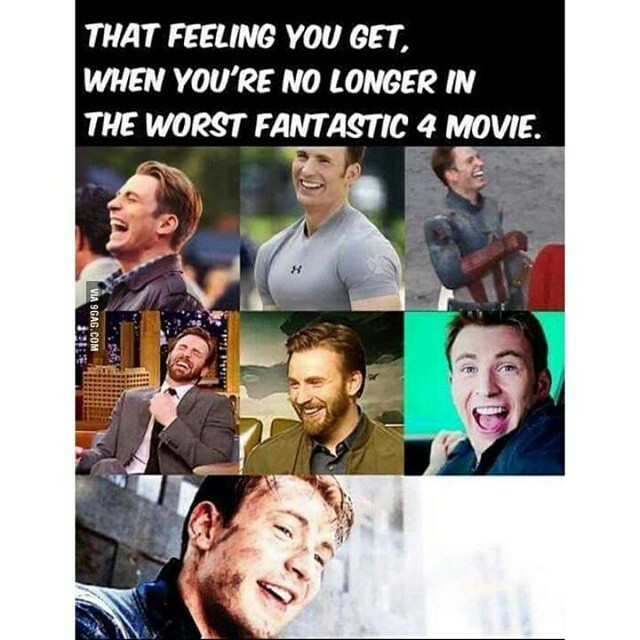 Fantastic 4 Movie Review: NOT SO FANTASTIC! The reboot of Fantastic Four has been released this weekend across the UAE. The film stars Miles Teller, Michael B. Jordan, Kate Mara, and Jamie Bell. Though the characters all belong in the Marvel universe, the movie itself belongs to the Fox Studios which means that at least for the time being, there isn't any connection between the Fantastic 4 and the Avengers within the cinematic universe (this needs a separate blog post to explain). Back to the movie itself now. Don't worry, won't give away any spoilers so you can feel comfortable reading on should you actually be thinking of going to watch the movie. From the get go, I was a little skeptical about the cast members being in the film. The nature of the characters of the comic Fantastic Four, in my opinion, is very far away from the usual nature of the characters that the cast members normally play in other films. As an example, I am used to Miles Teller being more of a cool, chilled out guy who you would actually enjoy hanging out with in real life. In the film, Teller is casted as Mr Fantastic who is meant to be a genius scientist devoted to his research; i.e. not that much of a cool guy. Mr Fantastic is not just one of the Fantastic Four members, he is the leader and the brains of the team, and the force that holds everyone together. This is why, throughout the movie, I was in complete disbelief that the character portrayed by Miles Teller is indeed Mr Fantastic...and was, in fact, more like someone trying hard (almost pushing it) to pretend to be him. Even during the scene that Teller assumes his leadership role in, he completely lacks the inspiration you expect from a leader of heroes in such situations, and his 1-line speech felt more like something he was reading off a teleprompter. I can go on about the other characters too and where I think their characters went wrong but I think you get the point. The movie also lacked building up suspense. The main (and only) fight between our heroes and Dr Doom ended before it started. Come on, Fox! That was the moment everyone was waiting for, and you blew it? If that action scene was done right, the entire movie could have been screwed up the way it was and the entire world would have still forgiven you for it...but to even ruin that? Come on! The movie felt like it was the first episode of a 2-hour TV-series. IMDB rates it 3.9 and if you were as hopeful as I was that maybe, just maybe, that rating was unfair...it wasn't. If you do decide to go watch it, don't wait for a post credit scene. Again, that is something you would find in a Marvel Studios movie which Fantastic Four isn't (again, i'll explain more on this later). There are currently talks that a sequel may be planned for the movie and will be due for release sometime in 2017. Let us hope for all our sake that a miracle does happen, and that the movie gets salvaged by being handed over back to the Marvel Studios where it should belong in the first place. Have you watched the movie? I would love to hear your thoughts too! Please share them either in the comments section below, or on social media (Facebook/Instagram). Al Majlis @ Mina Al Salam: "Dude! Where's my iftar?" How much should your SALARY be in the UAE?